A Loop institution, next to the Palmer House. 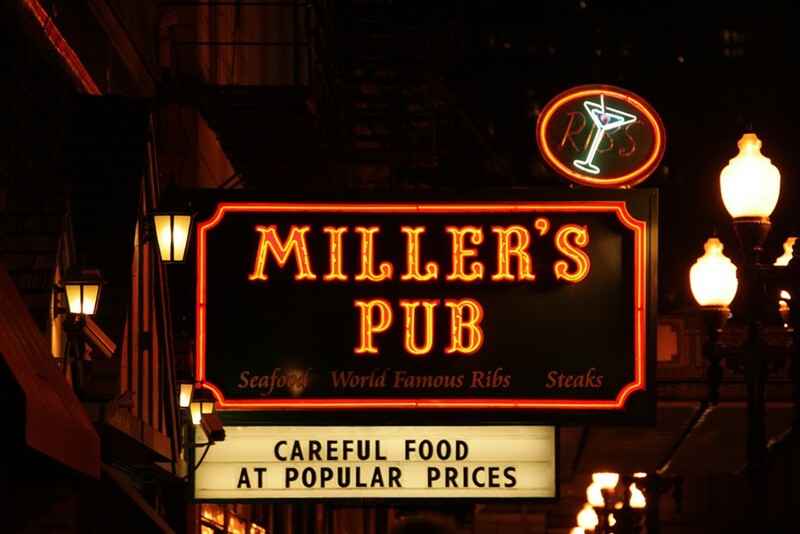 A Loop institution, Miller's claims to be world famous for its Canadian baby back ribs and prime rib of beef; it also serves sandwiches, salads, seafood, Greek and Italian dishes, and even breakfast (but not before 11 AM). The bar has eight beers on tap and 17 bottled, as well as a good selection of wines and other beverages. A Loop institution, located next to the Palmer House.